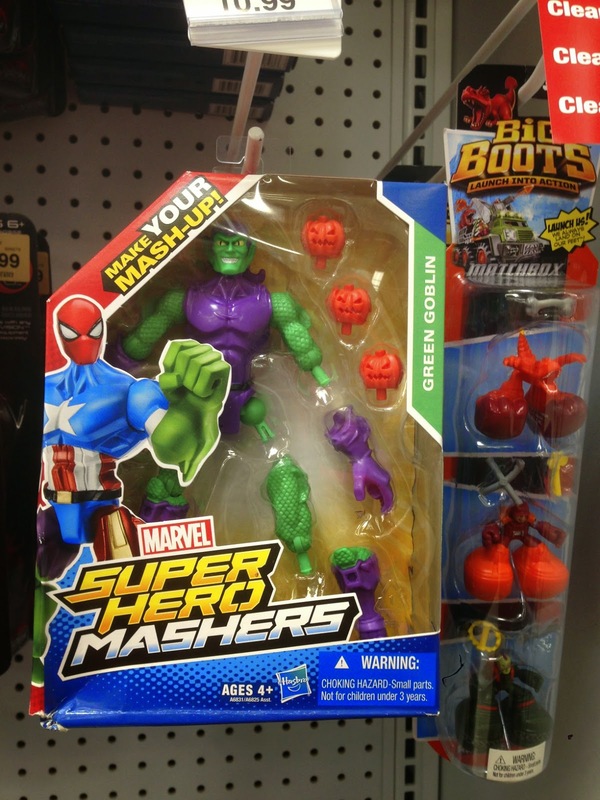 The great thing about being a dad to small kids is that you always have a built-in excuse to be in the toy aisle. And if you have your kids with you then nobody looks twice at you as you gawk at all the amazing stuff on the store shelves these days. We are living in a golden age for toys and board games. Sure, there were a lot of really cool toys that I miss from the seventies and eighties that I wish my kids had a chance to experience, but today's market offers a certain quality and vast variety of toys and other amusements that the old days could never touch. A couple of weeks ago I took the kids out to the local toy store. The girl's allowance had reached critical mass, and she was looking for a new pony to buy. While she ruminated on whether to go for the special Halloween-garbed Rainbow Dash or the little MLP remote control car thingy, I had a chance to poke around and see what the current toy scene is like "on the ground". These are not necessarily the best of what I found, but just a few things that caught my eye. It's a talking duck, actually. Of the "Billy the Big-Mouth Bass" variety. I guess if you're a fan of the show, you might appreciate this. Personally, I find it hard to love. It'd be cool, I think, if it only did duck calls and social rants. 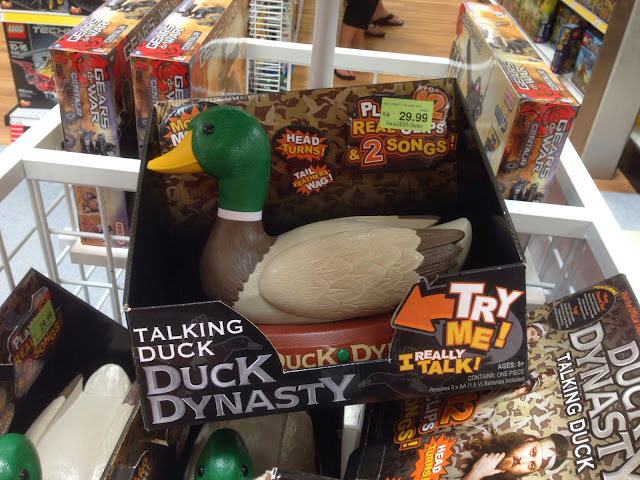 Curiously, this is the only piece of Duck Dynasty merchandise I saw. The family would make good action figures, don't you think? Not gonna lie, this guy got me so pumped for Halloween, and summer's still in full swing! I try to appreciate the seasons for everything they have to offer, and I feel kind of ridiculous starting my personal Halloween countdown when it's 100+ outside. Better to wait for the grackles, they'll always tell you when it's time. But how can I ignore stuff like this? He projects ghosts on the walls with his giant googly eye, which you then shoot with your laser blaster. Kind of like Laser Tag meets Ghostbusters. I can imagine playing this in one of the kids' rooms come fall with all the lights turned out on a late Saturday night, with a mug of hot chocolate and a ghost story or two. I can't believe I didn't leave with this in the basket. Johnny's cousin, I think. 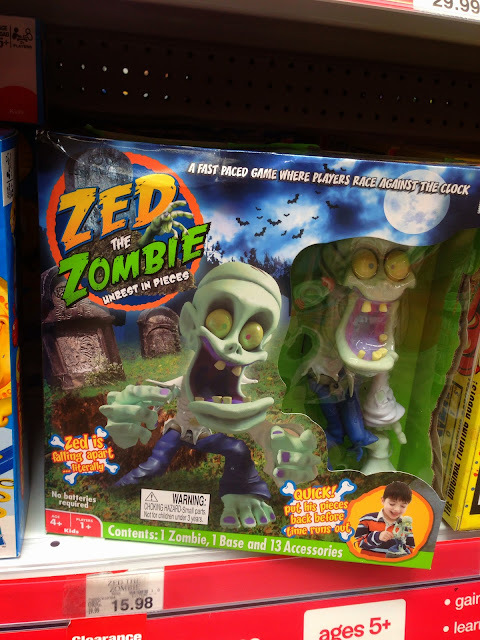 This game involves building the zombie from its component body parts before the timer runs out. 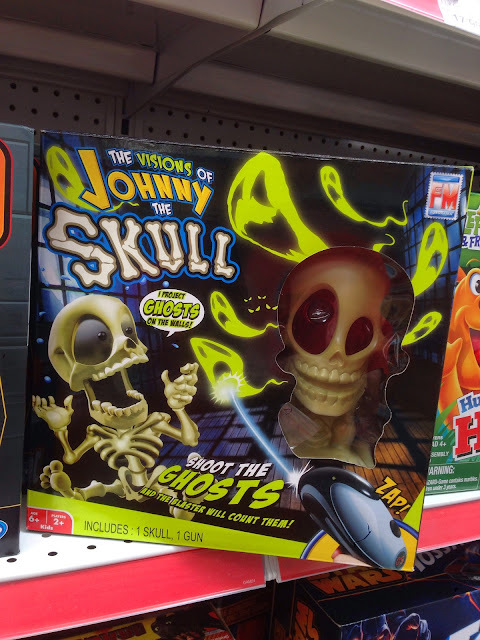 Another spooky-themed game that didn't grab me quite as much as Johnny did. I admit it. 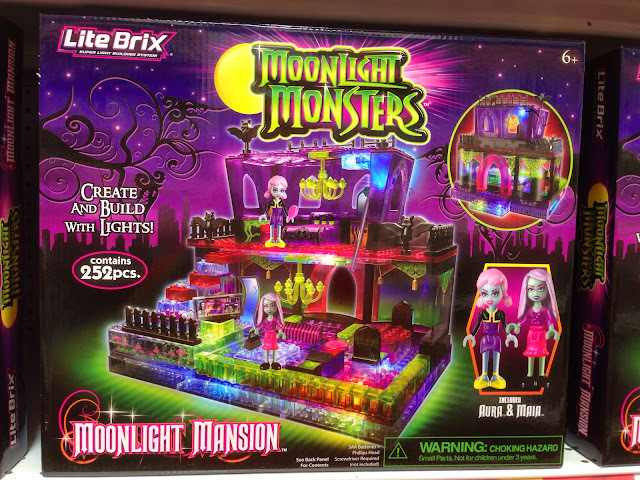 I freaking LOVE Lite Brix, and the Moonlight Monsters line in particular. Damn them for only marketing this to little girls, because light-up Legos is one of the coolest toy augmentations to ever hit the market. The structures you can create with these bricks are nothing short of beautiful, and I would gladly buy up this whole series for my own personal amusement. I practically begged ThePonyOwner to spend her hard earned allowance cash on this piece, but she was all about the ponies, big surprise. Come Halloween I may find a reason to incorporate something like this into our little spooky village scene. I noticed this primarily for its trippyness, and because it seems an odd piece of pop culture to commercialize. To a little kid coming at this with no context, it must seem like a really bizarre toy. I'm sure I would have wanted this for the strangeness factor alone. Never goes out of style, I guess. Except when I was a kid if you wanted to make a fart noise you had to cup your hand under your armpit and pump your arm at the shoulder. Or just actually fart. Now there's tech involved. TheVCubeSolver tried the modulator, which worked like an old moog synthesizer that only made one family of noises. It was sort of interesting to work, in a way. The "Minion" tie-in on the Fart Blaster I found infinitely more annoying than whatever sound it made at whatever high volume. Not a fan of those movies, or their omnipresent marketing. A lot of you might find it odd that I have never seen an episode of Game of Thrones. Also never seen Walking Dead, or Breaking Bad, or True Blood, or Lost, for that matter. But I do really love card games, whether of the collectible variety or not. I am familiar with the basic storyline and some of the characters from Game of Thrones, and it strikes me that the show would translate well as a card game, perhaps something similar to Legend of the Five Rings. Now this is a real blast from the past. I never owned one personally, but my cousin had a set. I don't recall it working all that well, and it made a hell of a racket. Since Hollywood is currently mining boardgames for new movie ideas, I wonder if anybody has a script ready for Vibrating Football The Movie? These things reminded me of a certain style of artwork featured in Cracked Magazine waaaaay back in the day. All those grotesque or exaggerated characters, mouths agape, in their comically undersized hot rods, one hand raised defiantly, the other usually gripped around a gear shift, hearken back to the days when derbys and cross-country car races were an entertainment phenomenon. So much so that they almost seem archaic now. Riding hard on the (Universal) monster theme, this toy line served as yet another reminder that Halloween is just around the corner, and there were plenty of others to be found. 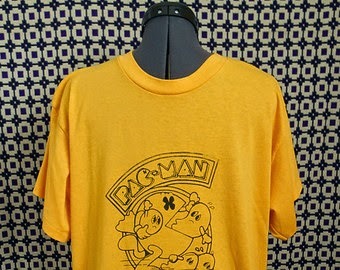 There was tons of Nintendo merchandise of all sorts scattered throughout the store, but also a lot of Pac Man stuff. I guess the character's undergoing a resurgence. Maybe for the retro appeal? Or is it an anniversary year? At any rate, Pac Man ought to get some sort of acknowledgement for longevity, because (not counting Mario, who would only achieve real fame years after his introduction) there is no greater, more enduring icon of arcade gaming. While the Nintendo mascot still has a wide following, I have to wonder who actually plays Pac Man games these days, particularly the new ones they keep inexplicably making? How well can they really sell? I imagine they must make loads more money from merchandising than from any games. Pac Man Jr. was my favorite all time game in the series, but hard to find in an arcade. And it's still a terrific game if you can play it on an emulator. Ok, I mostly noticed this because I can spot a jack-o-lantern from about 1000 yards away. 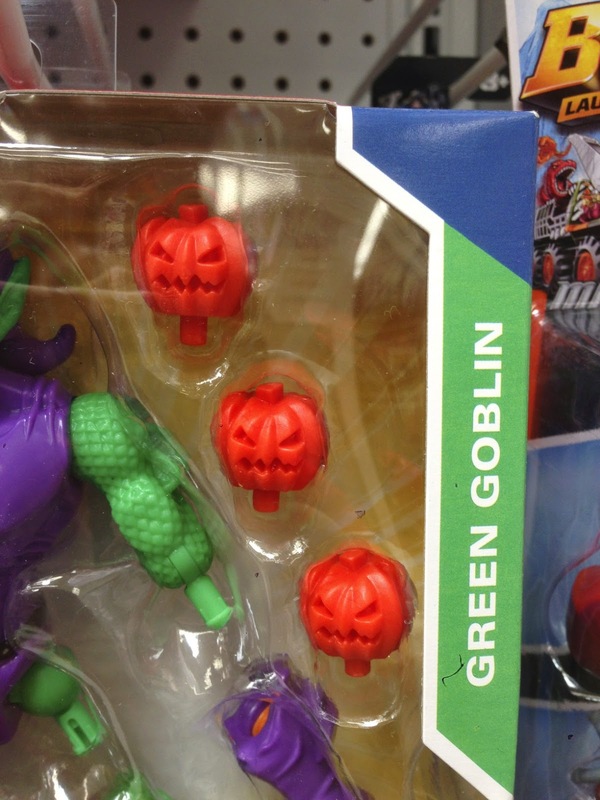 When I was a kid, Green Goblin was one of my favorite comic book villains simply because of the pumpkin bombs and Goblin Glider. I used to fantasize about having a Goblin Glider of my own, which I would (amazingly) use for such boring tasks like driving to and from school, or visiting relatives. My imagination can be surprisingly dull at times. The idea of interchanging limbs among various toys in the same line is nothing new; we used to do that all the time with the arms and heads of He-Man action figures. Seriously, who would want this? It was like three and a half feet tall. 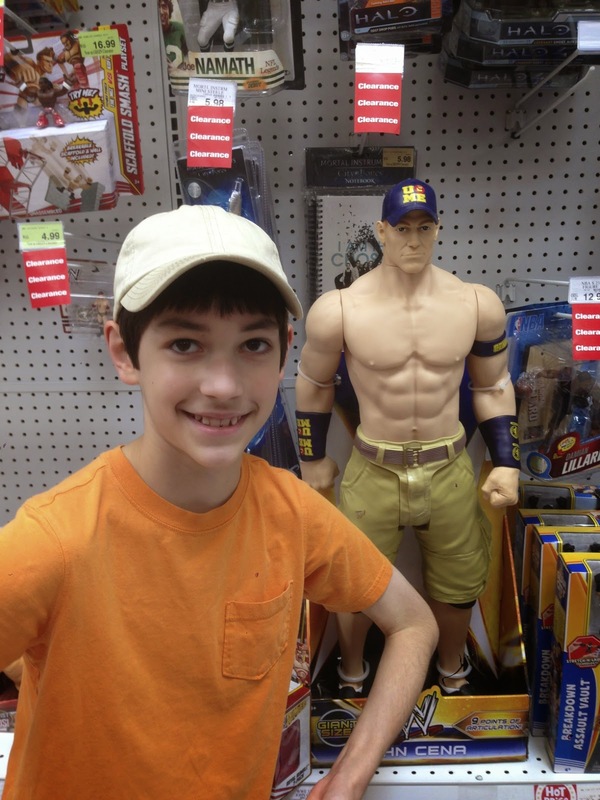 I mean, if you were a little kid it would be like a life-size mannequin you could actually pretend-wrestle with. What would you do with this monstrosity? Can you imagine owning a whole lineup of wrestlers this size? Where would you put them? It would be like the army of clay soldiers that that Chinese emperor was buried with. Toy Cena's guns are actually bigger than my 12 year old son's! Who wants that? Toy fetishists, that's who.